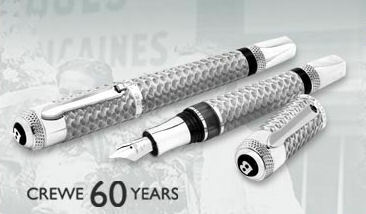 The Tibaldi for Bentley Crewe Pens celebrate 60 years of production at the historic Crewe factory. 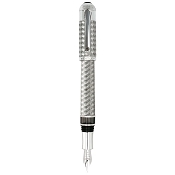 Bentley Motors introduces its first ever limited edition pen collection and its first ever collaboration with Tibaldi, specialist makers of precious and technical writing instruments. The TIBALDI for BENTLEY Crew 60 Years Pens draw their design cues from the finishes of the two limited edition cars produced for the Diamond Jubilee of the Crewe factory ? the Arnage and the Continental GT Diamond Series. 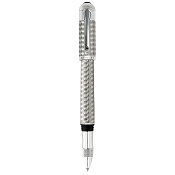 All Tibaldi for BENTLEY pens bear the Sheffield Assay Office Bentley hallmark. ?Working with precious metals has been a new departure for our vehicle designers. We have transported the principles of vehicle interior design and design codes from the commemorative Diamond Series cars into the TIBALDI for BENTLEY collection and we are thrilled with the result. When you look closely, you start to see references to the bright chrome finish of the Arnage and the satin finish of the Continental GT.? A unique feature of the Bentley Arnage Diamond Series is the diamond-quartered wood marquetry, a first for both Bentley?s craftspeople and for the motor industry overall. This painstakingly handcrafted woodwork technique is applied meticulously in the TIBALDI for Bentley pen case. Four pieces of straight grain woodwork from the same English oak tree are matched up and arranged in perfect symmetry. In the Arnage Diamond Series, this feature is found on the waist rails inside the doors and the rear folding picnic tables. 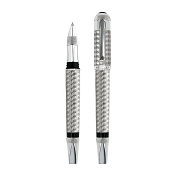 The pen case for the silver TIBALDI for Bentley pen features the original Bentley badge found on the steering wheel of the Continental GT, while the case for the solid white gold pen boasts an inlaid wood Bentley logo.